WAIST HIGH: Take That! You Obsessed And Compulsed Mom Person! Take That! You Obsessed And Compulsed Mom Person! Waist High had her carpets cleaned today. Upon returning from staying out of the carpet cleaner's hair, Waist High's daughter uttered to Waist High the most rude and brilliant response to a parental command EVER. Waist High (wanting to keep the carpets clean forever): "Please don't walk on the carpet!" Waist High's daughter: "What do you want me to do? Float? 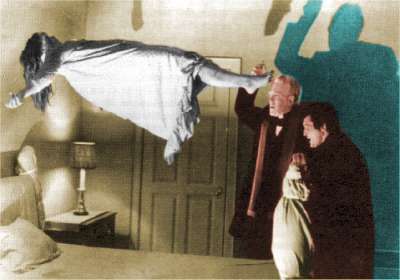 I'm not in The Exorcist!"